The hotel is conveniently located in the I-270 hi-tech business corridor, just outside the I-495 Beltway surrounding Washington, DC, the Nation's Capital. Our complimentary shuttle will take you to the Shady Grove Station of Washington's Metro Subway system. The hotel is approximately 35 minutes away from Ronald Reagan National Airport and just 10 minutes from the Montgomery County Airpark. Dulles International and Baltimore Washington International are also within an hour. 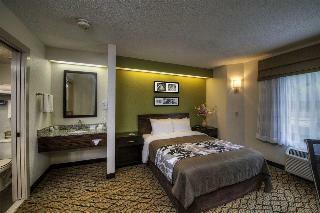 This hotel is located in the hub, minutes away from Rockville and Germantown. Georgetown, Washington DC, and Northern Virginia are only a short distance away. Hotel facilities include Rooks Corner Restaurant, Indoor pool and an outdoor pool. In addition 14,000-plus square feet of newly renovated meeting space in 15 function rooms withcomplete catering and audio/visual services are also available.